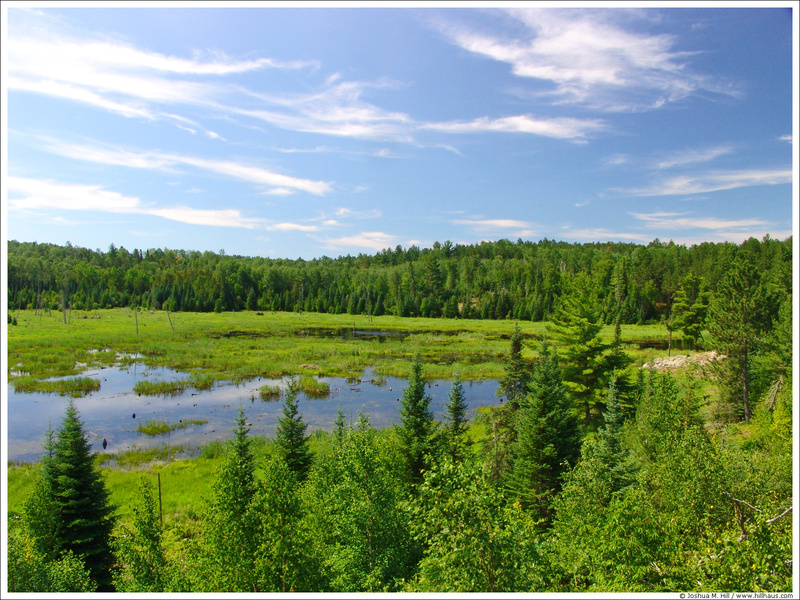 This marshy area in Voyageurs National Park is called the Beaver Pond. I spent a few hours here watching for moose in the morning. I didn't see any moose or other people, but a pheasant and I scared the living daylights out of each other. Categories: National Parks, Minnesota, Voyageurs N.P.